In these lessons, students will learn how to respond to the play not just as a piece of writing, but as a piece of drama. Tasks include: using the character of Peter Quince to explore the role of director; researching productions, using interviews and photos as a starting point; looking at previous set designs to inform students' own interpretation of the woods. Can I show an understanding of some factors to bear in mind when casting a play? Ask students to make notes on what Peter Quince is doing, his approach and whether he is being effective. Support students’ understanding that Peter is directing a group of amateur actors. Students could also read Act 1 Scene 2 in small groups, and reflect on Peter’s directing style. Groups could even interpret the role of Peter Quince in different ways. For example, in one group’s performance, Peter could be very hesitant and unassertive, in another slow and indecisive, in another bad-tempered and dictatorial, and in another assertive and encouraging. How do the actors respond to these different styles of direction? Which method seems to get the best out of the actors? Now students could be asked to think more broadly about what the job of the director involves. The Globe blog (blog.shakespearesglobe.com/tagged/wonder-season) and Playing Shakespeare with Deutsche Bank website (playingshakespeare.org) feature images of directors working with actors in rehearsal which might be used at this point, as well as interviews with directors. Ideas could be captured on one big brainstorm or list and can also then be recorded by students in the Student Booklet. Listen to an excerpt from the Globe ‘Adopt a Director’ podcast at shakespearesglobe.com/discovery-space/adopt-an-actor/archive/tempest-directed-by-jeremy-herrin. Play this from 1 minute 10 seconds to 1 minute 53 seconds only. Students add key points to their brainstorms. This activity moves on to the job of casting the play. You could give each group one of the main characters from A Midsummer Night’s Dream and ask them to consider the attributes and qualities they would be looking for in an actor who plays that part. Distribute to students a page of actor headshots which can be found in the Student Booklet. Students could select the actors they would like to invite to audition for the parts and rank them. Some actors may get invited to audition for more than one part! Having distributed copies of the Dramatis Personae for the play, you could mention some of the famous actors who have appeared in this play on stage and screen in various productions. Ask students to cast the play using any actors they choose from the worlds of TV, film and theatre. Students should give feedback on their casting decisions ensuring that they justify their choices. Students write on sticky notes some ideas in the form of ‘director’s notes’ for the actors playing some of the key roles, e.g. Titania, Oberon, Puck, Bottom, Hermia, Lysander, Theseus. They could be single words, longer comments or key quotations. Collect these ‘director’s notes’ for use in future lessons. Students can visit the Adopt An Actor archive of blog posts and podcasts by actors in previous Globe productions of A Midsummer Night’s Dream here: shakespearesglobe.com/discovery-space/adopt-an-actor. If students are not at all familiar with the play at this stage, they can be supported in a variety of ways including: scene-by-scene plot synopsis, quiz, character profile pages, a chance to read or watch a short retelling of the plot. These can be found on the Playing Shakespeare with Deutsche Bank website for A Midsummer Night's Dream: 2012.playingshakespeare.org. Students can watch an interview with Globe director Bill Buckhurst about the process, challenges and excitement of directing a Shakespeare play here: 2012.playingshakespeare.org/week-by-week/57.html. Students could return to these points about the role of the director throughout their studies, particularly when students are stepping into the role of director in their group work and ensemble performances, etc. Can I investigate how A Midsummer Night’s Dream has been interpreted by different directors? Can I think creatively about how I would stage A Midsummer Night’s Dream including where and when I would set it? With this in mind, you could ask students to close their eyes, as you talk them through a very generalised plot of A Midsummer Night’s Dream that doesn’t refer to people, places or times, perhaps not even to gender. For example, ‘This is a story about a powerful ruler who is about to be married. Some local tradespeople are rehearsing a play as part of the marriage celebrations. But set against this mood of celebration, two young courtiers are feeling frustrated in love… ’ Suggest to students that the action being described could be happening today in their neighbourhood or somewhere far away, perhaps in another time. Encourage students to think freely and creatively and to develop in their mind’s eye a setting that they think might work if they were staging their own production of A Midsummer Night’s Dream. Play to students various pieces of music from stage or screen productions, and ask students to write down what the music suggest to them. Draw out from the feedback that music can suggest a particular mood, a particular setting, or a particular type of activity that is going on. Which ideas would I like to borrow or be inspired by if I were staging my own production? Students could be shown the PowerPoint Setting the Scene (available in the Downloads section at the bottom of this page). It shows a variety of images from productions of A Midsummer Night’s Dream that help to create a sense of place and atmosphere. The settings pictured here include Athens and the magical world of the woods. To what extent do different productions develop a strong visual contrast between these two worlds? To what extent do different productions draw strong visual parallels between these two worlds? How else are such effects achieved, e.g. by music, lighting, etc.? Students could create a moodboard reflecting their own ideas about the settings for this play in a production of their own devising. What have I learned about different ways that directors have interpreted A Midsummer Night’s Dream and different settings they have chosen? Students should share their ideas about staging the play with a partner and listen to their ideas. They should then use their feedback to further develop and refine these ideas; this will assist them with the moodboard task. Ideas should be creative and perhaps daring, but also coherent. Pinterest or other similar websites could be useful to help students build a scrapbook of production ideas. ​A poster (perhaps accompanied by a spoken or written commentary) could be the basis for a mid-unit assessment. See the next lesson for more activities linked to setting, set, mood, etc. Show the 'Setting the Scene' PowerPoint from the previous activity (available in the Downloads section at the bottom of this page), which shows the set designs from various productions of A Midsummer Night's Dream. Ask students to reflect on these images in the light of what they know about the Globe stage. What do you think are some of the challenges and opportunities of working with the Globe space? Finally, students could watch an interview with Globe Set Designer Isla Shaw here (2012.playingshakespeare.org/week-by-week/47.html), making notes about the process she follows to design a set. Shakespeare often gives the audience explicit information about the precise place where a scene is set. For example, in Act 1 Scene 1 of A Midsummer Night’s Dream, Theseus commands Philostrate to ‘Stir up the Athenian youth to merriments’ (line 12), Egeus begs ‘the ancient privilege of Athens’ (line 41), and Helena says ‘Through Athens I am thought as fair as she’ (line 227). Students could scan this opening scene to see how many more references to the city they can find. Students should annotate the text with their findings. And make her full of hateful fantasies. 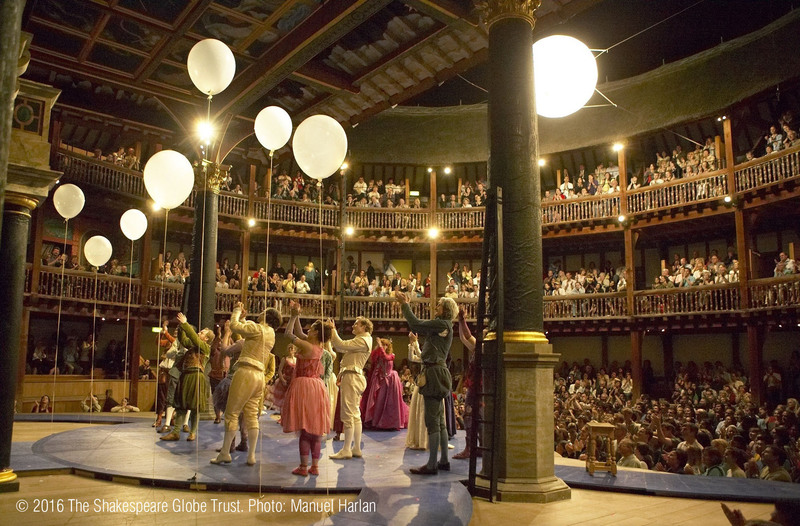 Students could watch an extract from the 2012 Globe production of A Midsummer Night’s Dream, focusing on how the Globe space can be transformed to give the impression of different locations using some simple but telling changes. These small changes include props, sound effects, music and special effects. Now ask students to consider how they might plan the changes of scene needed in staging Act 1 Scene 2 and Act 2 Scene 1. They could continue to watch other clips from this production, in order to see how Bill Buckhurst and his team achieved these changes. Students could compare this with the use of scenery and changes of scene in film adaptations of Shakespeare. For example, in the film adaptation starring Anna Friel and Calista Flockhart as Hermia and Helena, the second half of the opening scene is filmed outdoors in a garden. What impact have these factors had on my set design? Which feature of my set design am I most proud of and why? Students should choose one detail from their planned set design of the play, and write 50 words about its importance. The critic David Bevington draws a contrast between the Mechanicals, ‘who think they must literally bring in moonshine in some way’, and Shakespeare himself who ‘has shown his audience a forest near Athens without bringing on a single tree’. Students could draw, photograph or find an image to accompany their 50 words (see ‘Suggested plenary activity’), and the resulting pieces of work could form a display. The ‘Creative brief – set design’ activity could be used as an assessment task. Students could be asked to write a detailed commentary to accompany their design. Can I think creatively about how I would dress one of the characters from A Midsummer Night’s Dream and why? You could display artist and poet William Blake’s watercolour painting ‘Oberon, Titania and Puck with Fairies Dancing’ (1786). Ask students to work in pairs, analysing the painting in detail. In each pair, Partner A should focus on posture and facial expression. Partner B should focus on costume and objects in view. Students could annotate the image to show the connotations of the things they have picked out. You could then take feedback, gathering students’ opinions about what the figures in the painting are wearing and what they signify, encouraging students to expand on their ideas. Students could be shown this interview with Isla Shaw who designed the costumes for the Globe’s 2012 production of A Midsummer Night’s Dream: 2012.playingshakespeare.org/week-by-week/51.html. What is the first thing Isla does when asked to design costumes for a production? How did she become a costume designer? What or who inspires her designs? How does Isla describe how the process of costume design develops from her initial drawings? How does she manage to be creative on a budget? How would I dress one or more of the characters and why? When would there be costume changes as the play progresses, and why? Take pictures of some work in progress (Creative brief: costumes) and display them. One or two students share their designs with the class, and class members ask questions about the reasoning behind key decisions. Can I plan and draft my own theatre review, making effective use of these features? There is space to record these findings in the Student Booklet. You could then say that adjectives are just one way that a reviewer can express their opinions. By way of an extension question, students could be asked to identify other techniques used. 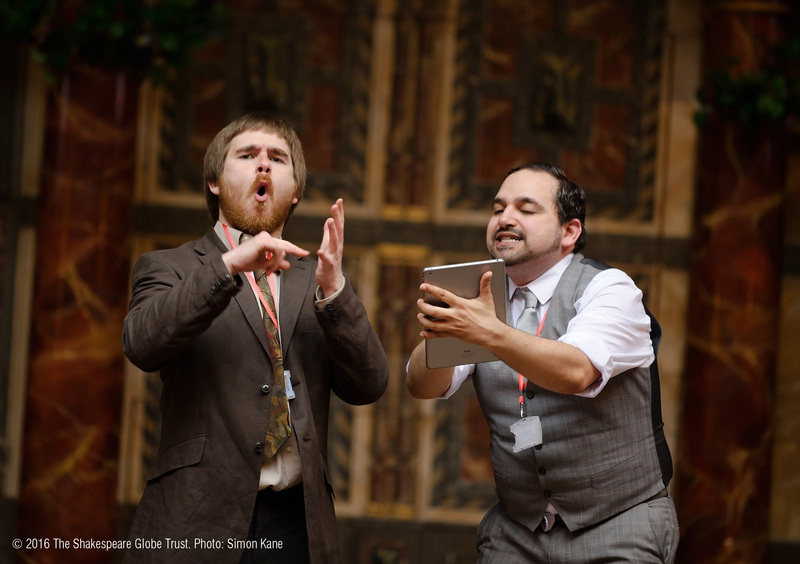 Students can watch clips of reviewer Matt Trueman talking about reviewing a play (2015.playingshakespeare.org/week-by-week/154), and about writing your review (2015.playingshakespeare.org/week-by-week). Ask students to draw out success criteria and any other helpful tips. 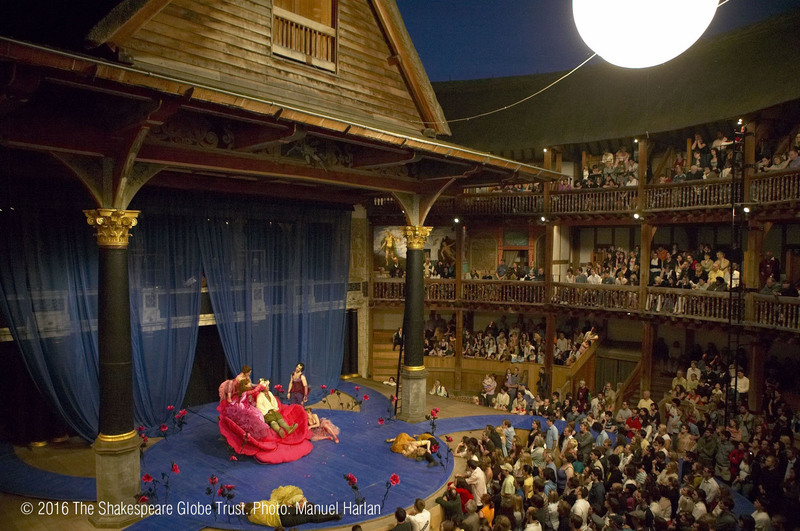 Share a well-written theatre or film review of A Midsummer Night’s Dream with students, e.g. telegraph.co.uk/theatre/what-to-see/emma-rices-revolutionary-midsummer-nights-dream-had-me-transfixe/ or timeout.com/london/film/a-midsummer-nights-dream-1999. There are many activities you can do with such a text to support students in their own reading and review-writing skills, e.g. Always give reasons to justify and explain your thoughts and opinions. E.g., avoid saying something was ‘effective’, instead explain what you saw and what the effect was on the scene, on the character, on the plot or on you. Students could find reviews of a number of different productions of A Midsummer Night’s Dream, or find more than one review of the same production to compare different critics’ views. Sample reviews could be displayed and annotated to highlight key features. The ‘Creative brief – review’ activity would work well as an end-of-unit assessment task. Students could also collate all of their creative brief work (poster, set design, costume, review) into a portfolio for assessment. All assessment tasks can be collated in the ‘My Creative Folio’ section at the end of the Student Booklet.